Gyan Mudra, that is also known as “Chin Mudra” is a very common and simple hand posture that is used in many yogic practices to make them more effective. “Gyan” means wisdom in Sanskrit, so it can also be called as the wisdom mudra. The prime reason why this particular hand gesture is used for meditation is because it helps one to have lesser thoughts during that time, thus it provides better focus to successfully carry out the process. 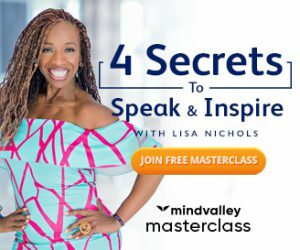 You can achieve higher states of meditation with appropriate use of this simple method because when you are less affected by the thoughts in your mind, you can experience altered states of consciousness. According to ancient yogic teachings, our body is made up of five elements viz. water,fire,air,earth and ether, all the mind and health related problems are born due to the imbalance in these elements. This mudra helps to balance the vayu( air) element in the body. I used to be very skeptical of this stuff, but with better understanding of this knowledge I realized that even though they are just simple different methods of placing the fingers at various points in your hands, it can prove out to be very beneficial for your health since it stimulates various brain nerves with the pressure applied to certain meridian points. Gyan mudra is well known for its role in helping a person who’s facing root chakra imbalance, the meridian point where the pressure is continuously applied with this mudra clears the energy block that was blocking the flow of life force through the first energy center. When you are able to stimulate your root chakra, you start feeling a deeper connection with everything in the world. This mudra can help you to overcome all the emotional and health related problems that are associated with the imbalance of root chakra. This method is so simple that anyone can do it by just looking the picture, still let us take a look at how it is done properly. Choose a good yogic posture like sukhasana, vajraasana or padhmasana etc. you can also use a floor chair for this purpose, but if is is too inconvenient then sit in a regular chair just make sure to keep your back straight. Now, keep your palms on your knees facing upwards and touch your thumb with your index finger, make sure to keep all other fingers straight and parallel to each other as in the picture. Do this gently and don’t keep your fingers stiff, be totally relaxed while doing it. After this you can perform any meditation you like in this posture. I prefer to close my eyes and focus on my third eye (a point that lies a little above the portion where your eyebrows tend to meet) while taking long deep breaths, it relaxes the mind and relives stress. As the name suggests, it helps you to gain more spiritual wisdom, inspirations and insights. Balances the vayu (air) element in the body, thus it cures the diseases caused by the imbalance of this element. 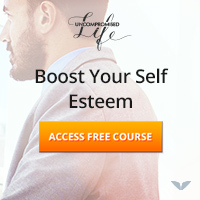 Helps you to become an emotionally healthy person. Liberates you from the materialistic thoughts and emotional dramas. Makes you experience long duration of present moment awareness in your day. Good for improving the quality of your sleep and to overcome the problem of sleep deprivation. Helps you to deal with all mind related problems like anger, depression, stress, anxiety etc. Enables you to rise above the thoughts and feelings of lower nature like guilt and fear. 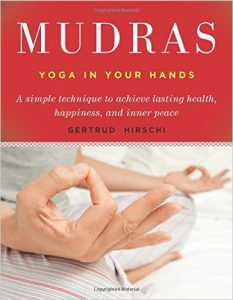 I would like to recommend you the book “Mudras in Your Hands” if you are willing to learn more about these yogic gestures that you can use anywhere, anytime for healing the various mind and body related problems. In this book, a Swiss yoga teacher named Gertrud Hirschi has provided the information on various hand positions that can enhance the effect of your other yogic practices and meditations. Mudras can really be very helpful in calming down your mind, thus it helps you to deal with anger, depression, stress, frustrations, etc. The author also explains a few mudras that can also heal some of the physical ailments. Hirschi has used a very simple language in the book and it is a perfect material for both beginners and experts who are looking for the yogic methods to achieve more inner peace. My personal preference when it comes to chakra healing or working on my inner world are the energy healing methods that I have learned from Jeffrey Allen’s Duality program because that has worked pretty well for me, so if you too are interested in working on your energy for improving your mind states and solving your life issues then I would highly recommend that product to you as well.